Montana man sentenced to prison for shooting German exchange student. 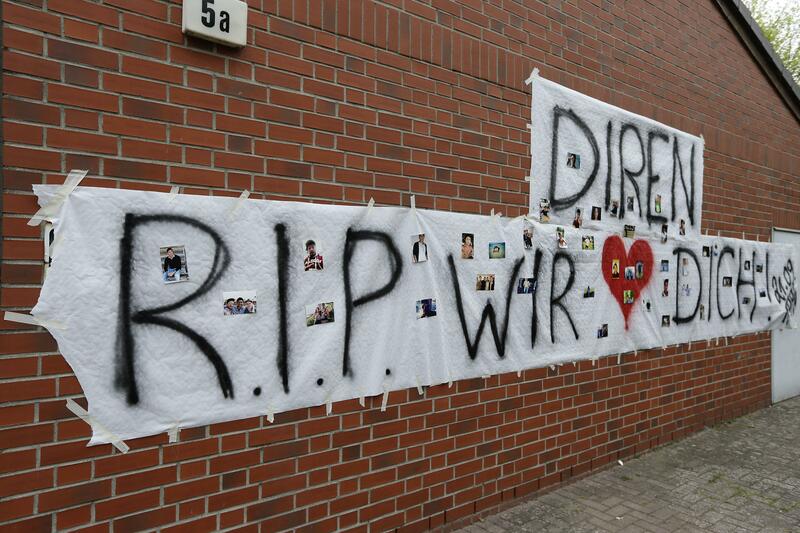 A tribute to Diren Dede in Hamburg, Germany. A Montana man who shot and killed an unarmed exchange student was sentenced on Thursday to 70 years in prison. Markus Kaarma claimed he was acting in self-defense and protecting his property when he shot the 17-year-old exchange student, Diren Dede, with a 12-gauge shotgun. At trial Kaarma defended his actions as lawful under the state’s “stand your ground” law. At trial, prosecutors argued Kaarma was intent on luring an intruder into his garage after it was burglarized at least once before the shooting. Three witnesses testified they heard Kaarma say he’d been waiting up nights to shoot an intruder. The night of the shooting, Kaarma left his garage door partially open and placed a purse inside. Alerted by a motion detector, he entered the darkened garage and fired four shotgun blasts, pausing between the third and fourth shots, witnesses testified. Lead detective Guy Baker testified that the first three shots were low and seemed to follow Dede as he moved across Kaarma’s garage. The fourth shot was aimed higher and struck Dede in the head, Baker said. Dede, an exchange student at Missoula’s Big Sky High School, was unarmed.